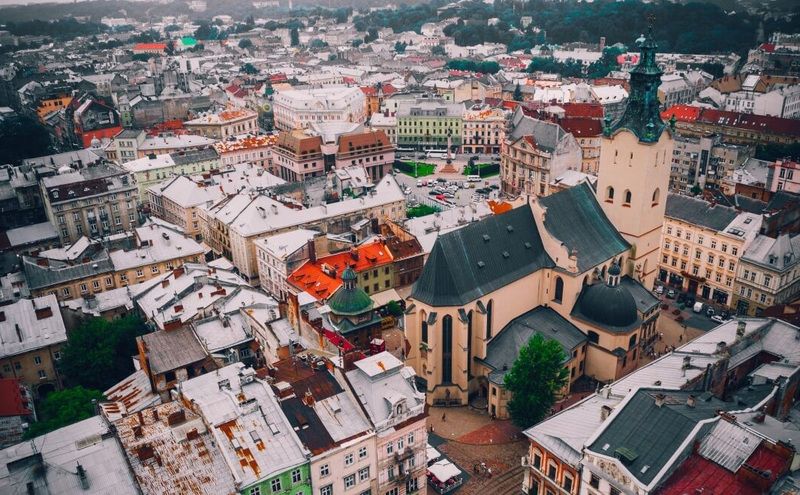 Lviv is a small Paris, a city that was built with the love to harmony, with truly European charm and wonderfully delicate understanding of a beauty. The special mood and style always dominate here, which affect on everything: the names of small shops and cafes, the refined facade of the buildings, the beautiful and originally designed windows, the historical houses’ interiors in the central part of a city. At all times Lviv was well known in Europe. We invite you to visit our hotel in Lviv. Lviv is a city with centuries-old history, in which was interwoven the culture of different nations. The heavy and extraordinarily interesting history of the unique Ukrainian city Lviv counts seven with a half centuries. Historians has determined that the human settlement existed (on a site) in place of a modern Lviv as early as from fifth century. Those lands belonged to Velykomoravs’k princedom and then to Polish. Nestor Litopysetc’ remembered that those lands was joined to Kyiv Rus by Volodymyr Velykyi in 981 year. In 1256 year, prince Danylo Romanovych founded Galicia-Volyn city and named it after his son of Lion. 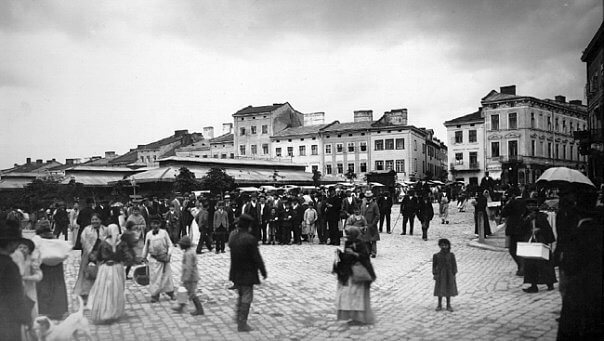 The centre of Old Rus Lviv was present Rynok square. The city was reliably protected by the fortifications, built with considering of the natural conditions, such as hummocks of the Hill Vysokyi Zamok and the Poltava river. After the death of king Danylo Romanovych, prince Leo transferred a capital of Galicia-Volyn state in Lviv. The city remained as capital during all following rulings. In 1303 year, king Yurij I L’vovych demanded from Constantinople patriarch a separate Galicia metropolitan area that was been independent from Kyiv with the centre in Lviv. In a princely Lviv, except the Ukrainian and Polish settlements, were the German, Tatar and Armenian settlements. Petty bourgeoisie planted gardens around the houses. The municipal fields were located on the western bank of Poltava in the district of present Chornovola Avenue. In 1340 year, after a murder of prince Yurij II (poisoning by the boyars), the polish king Kazymyr III the Large raided into Lviv, have plundered the city, especially the princely Vysokyi Zamok, and took out the Galicia royal crown to Poland. The Galicia boyars under the direction of Dmytro Det’ko drove away king Kazimir and formed the Galicia boyar’s republic, which lasted ten years at the head of Dmytro Det’ko, conferred a title on “A ruler of the Rus territory”. In 1349 year, polish king Kazimir III the Large secondly assaulted in Galicia and conquered Lviv. He conferred a status of the Rus kingdom capital to the city, as component part of then Poland with the comprehensive autonomy rights. Kazimir Velykyi side by side with Old Rus siege conquered new city blocks, that was become a foundation of present Lviv. In 1370 year, Polish King Lyudovik Uhors’kyi, after Kazimir Velykyi death, appointed prince Vladyslav Opol’s’kyi as vicarious ruler of Rus kingdom, who transferred Galicia to Hungary during seven years. Hungarian ruling lasted ninth years, whereupon the Polish forces under the direction of queen Yadviga conquered Lviv again in 1387 year. In 1387 year, Lviv was became administrative centre of Rus province. In a city were located residences of Orthodox, Armenian, Roman Catholic and Uniat bishops, three Judaic Communities (municipal, pre-municipal and karaite). At the beginning of the fifteenth century the population of a city numbered about 10 thousand, and in the first half of the eighteenth century population numbered 25-30 thousand persons. The trade and handicraft was been basis of the economic development. 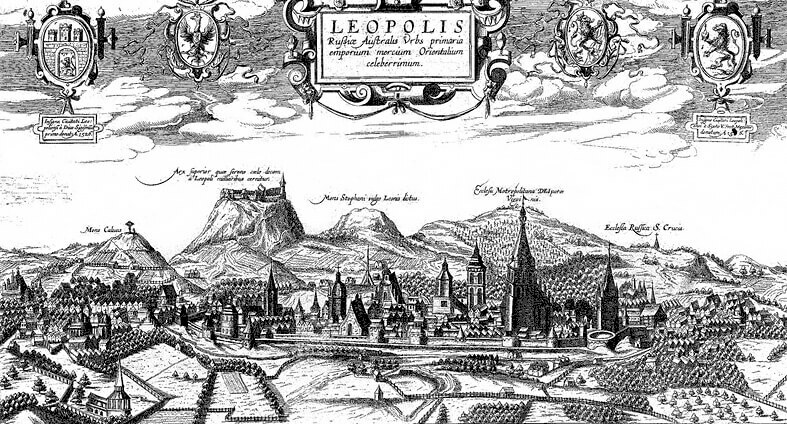 Furthermore, the city remained a fortress, which more than once fought off an attacks of an invasions (mostly by Turks and Tatars), stood a siege of the Bohdan Khmelnytsk forces, paid off Turks in 1672 year, which then were the allies of Doroshenko, and only one time was obtained by the Swedish forces. In 1707 year, tsar Petro І arrived in Lviv to organize co-operation against Charles XII. At the same time Lviv played important part in the medieval culture development. The Lviv university founded in 1661 year, was one of the oldest university in the Central Europe and the first higher educational institutions at the Ukrainian lands. In 1772 year, Lviv became part of the Hamburg monarchy and the capital of the best land of Galicia and Volyn Kingdoms. At first Austrian government was tolerant to the Ukrainian-Polish native population, but a little later, at the beginning of the nineteenth century, central authorities began to convert Lviv into the German city. For example, in the Lviv university studies was conducted exceptionally by the German language. Thereby was excited Anti-Austrian rebellion in 1848 year. To stopping its, tsar’s artillery have to concentrated fire on Lviv. During the rebellion was most suffered the building of Lviv university in Teatral’na street. As a result of rebellion an emperor returned former privileges to Lviv, in particular in self-government and language. Town council was chosen on free elections from 1870 year; they got right to form a city council is a city government board. Thus all ethnic representatives of Lviv affiliated to town council. At the same time was formed a new political parties in the city. Austrian power tore down defensive walls, increased the territory of the city and arranged conditions for its development. In this time was being built a new town hall, Opera theatre, Dominican cathedral, main railway station and many other great buildings for the city, was being put into operation an electric tramway. 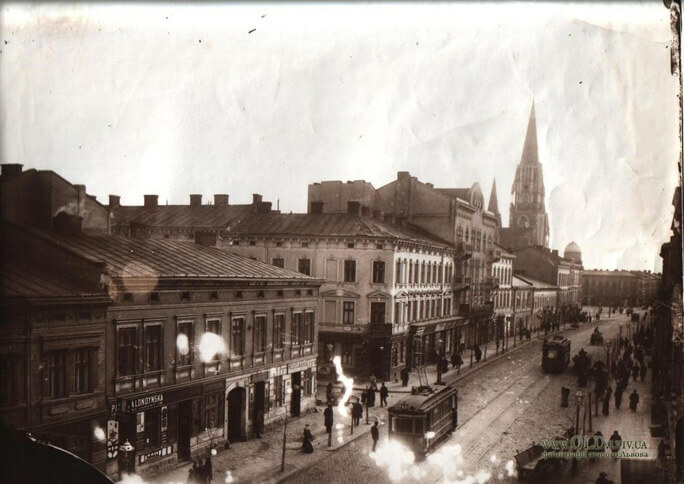 In an Austrian period Poltava was launched by a collector, enabled to set up a new main street Svoboda square. From September 1914 to April 1915, Lviv was occupied by the Russian empire troops. In this time in the city was dominated a relative calmness and was not conducted a strong military operations, that confirms by a perpetual municipal tramway works at that time. In 1915 year, Lviv was restored under the power of weakened Austria-Hungary. The Ukrainian general military commissariat, which was begun to prepare the armed rebellion, have been founded in 1918 year. In the same year on October 18 was formed political delegate body of the Ukrainian nation, Ukrainian National Council. At night from October 31 to November 1 was happened Lystopadovii chyn and all government institutions of the city were seized by Ukrainians. The end of it was proclamation about formation of Western Ukrainian People’s Republic (WUPR) in Lviv in November 1, 1918 year. Its capital was became the city Lviv. The territory of WUPR determined by low includes Ukrainian ethnic lands , Galicia, Bukovina and Zakarpattia. At the territory of WUPR were warranted equal rights for the national minorities with the Ukrainian population. In 1939 year, according to the act of Molotova-Ribbentropa Lviv was affiliated to Soviet Union, namely Ukrainian Soviet Socialistic Republic. A city became the administrative centre of the Lviv region. On June, 1941, Lviv was occupied by the Hitler Nazi force. A city was a member of general governorship and the central district of Galicia. German government exterminated the Jewish population, through a Holokost was perished about the third part of Lviv habitants. On June 30, 1941, the Organization of Ukrainian Nationalists (OUN) declared an act on resumption of the Ukrainian State in Lviv, the German administration were displeased with this and arrested its initiators. On July 27, 1944, Red Army released Lviv from the Hitler invaders. After the Ukraine gained independence in 1991 year, Lviv had regenerated and become the cultural and spiritual centre of Ukrainian revival nation. In 1998 year the city Lviv was registered as one of the world architectural monuments, which are under the control of UNESCO. As genuine diamond of Eastern Europe, Lviv looks like a museum under open-sky. There are over 2000 historical architectural and cultural monuments. Among the most prominent architectural monuments of the city are City Hall, an ensemble of Rynok Square, the Black Stone House, the Kornyakta Palace, the Dominican Cathedral, the Dormition Cathedral complex, the Royal Arsenal, the Gunpowder Tower, Municipal Arsenal, Bernardyrs’ monastery, Latin Cathedra, St. Yuriy Cathedral, St. El’bezdy Church, Railway station, Ivan Franco University, Opera Theater, the Maria Zankovetska Drama Theatre, Armenian Church, St. Onufriy Church, etc. 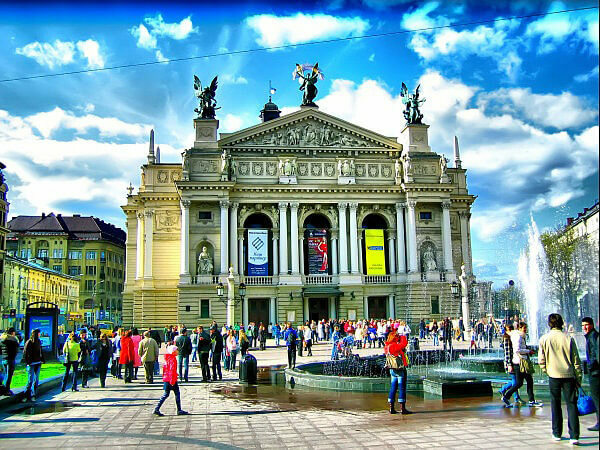 The main department of Lviv is Rynok Square, the centre and the heart of the public, economic and cultural life. Over six centuries of the Lviv history were indissolubly related to its comparatively small area, much of the square size (142m on 129m). There were a city council, palaces and a lot of citizens’ houses, carried on trading, held court and punishment. The Rynok Square was been eyewitness of the most essential city events from 1356 year, since the time of the Magdeburg law adoption. The most early mention about a city hall refers to 1381 year. That time it was a wooden building, contained of a high tower and a gallery of the municipal bugler. But the fires destroyed the building. At the beginning of XVII century was built new city hall with a high octahedral tower, crowned with the gilded ferrous lion. But this city hall was not saved to our days, its tower was collapsed in 1826 year. Building construction, which now resides at present square, was completed in 1835 year by the design of Y.Marklya, F. Tretera, L.Vondrashky. Notwithstanding its massiveness, the city hall felicitous fitted to the architectural ensemble of Lviv, and its tower became the symbol of the city. Today Lviv is the treasure house of national ideas and culture, is the economic, educational and cultural centre of the West Ukraine. There are many museums, art galleries, theatrical and musical troupes. The famous Lviv Theatre of Opera and Ballet has the extraordinarily diverse playbill. Lviv has the fairly deserved reputation of the city with the high-level education, here located one of the oldest in Central Europe and the first founded in Ukraine university. In Europe among Lviv museums the most considerable are: the Lviv Arts Gallery (pictures gallery), National Museum, Historical Museum, Museum of History of Religion, Museum of Ethnography and Art, Pharmacy-Museum, Literary and Memorial Museum of Ivan Franco, Literary and Memorial Museum of S. Krushel’nyc’ka, Museum of Folk Architecture and Rural Life (Shevchenko grove), Museum of Natural Scientist, Museum of “Mermaid Dniester”, Arsenal Museum. Talented masters, such as builders, architects, magnates and patrons of art, created an unique pearl of the architecture. If you arrive in Lviv, you will feel an unique spirit, taste, and passion of Galicia. Passed the narrow streets of the old city, went all round the Rynok Square, set and dreamed in some café, glanced on a city from the hummock of the Hill Vysokyi Zamok, you would feel mysticism and spirit of the Middle Ages.